Varishtha Pension Bima Yojana 2017 - VPBY 2017 - Features ..! 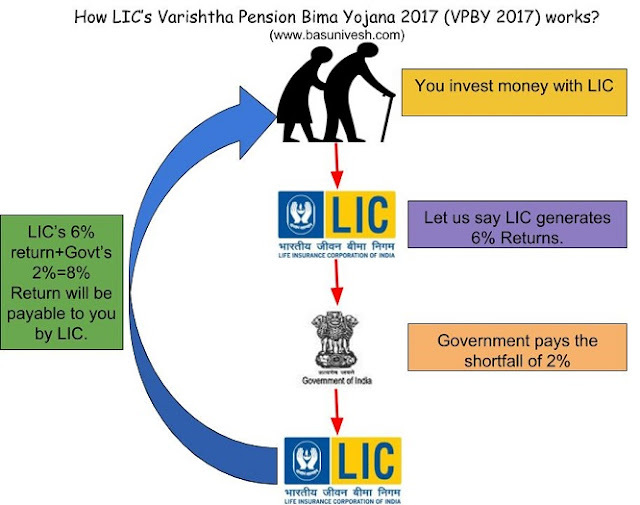 The government of India recently approved the launch of LIC’s Varishtha Pension Bima Yojana 2017 (VPBY 2017) for Financial Year 2017-18. Let us see the features, benefits and who can invest. This is the social benefit program meant for low-income group age old people.